Includes snap closure and wrist or trolley strap. 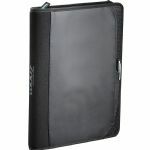 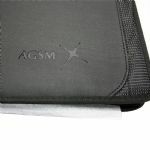 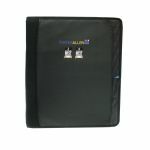 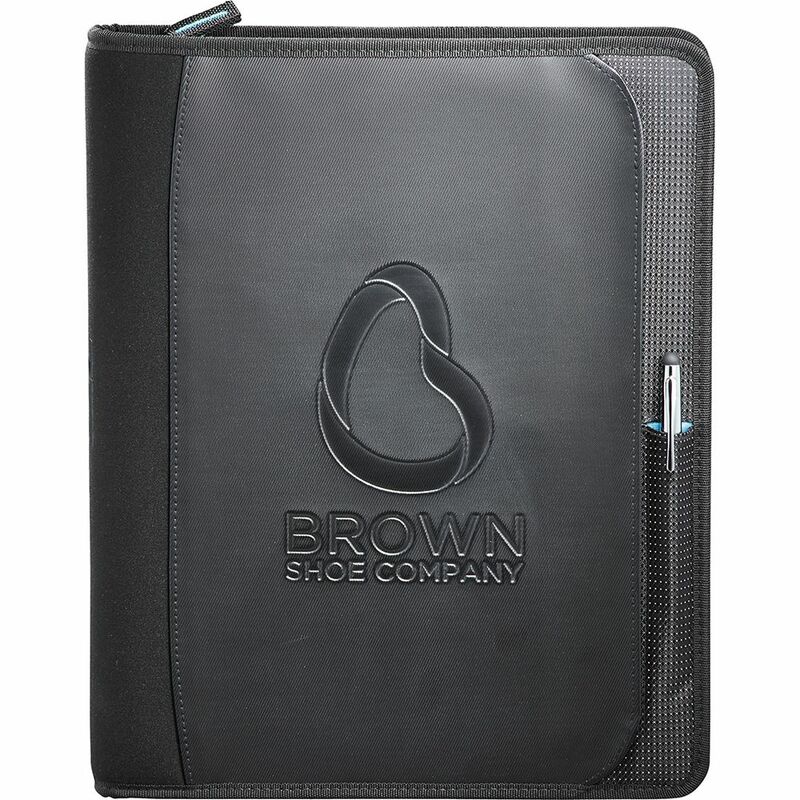 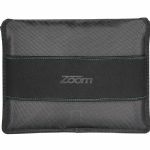 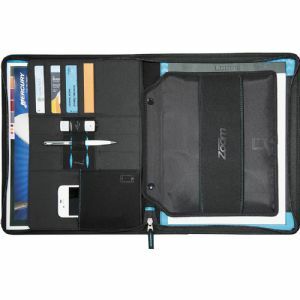 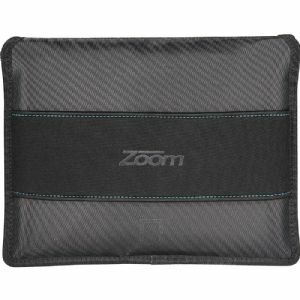 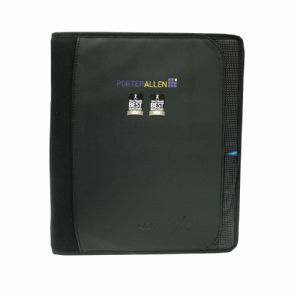 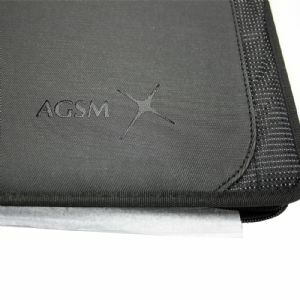 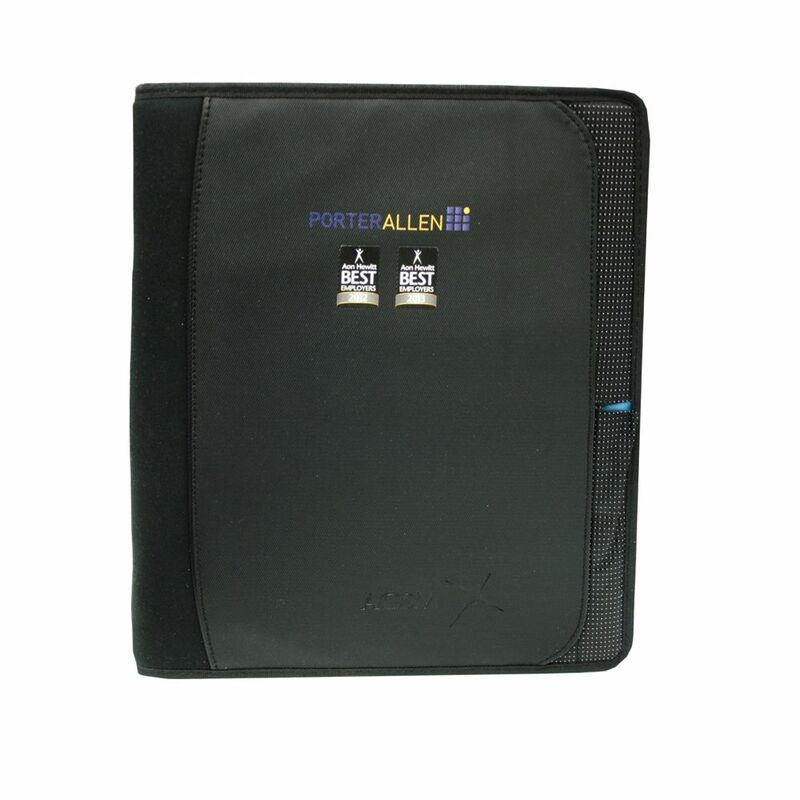 The padfolio's organizational features include four business card pockets, three pen, stylus or USB slots, a gusseted document pocket and an iPhone or cell phone pocket. 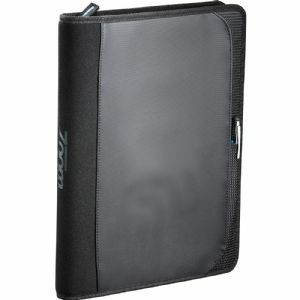 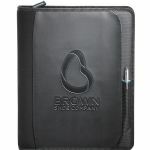 Front cover features a document pocket and stylus or pen pocket. Includes lined writing pad. 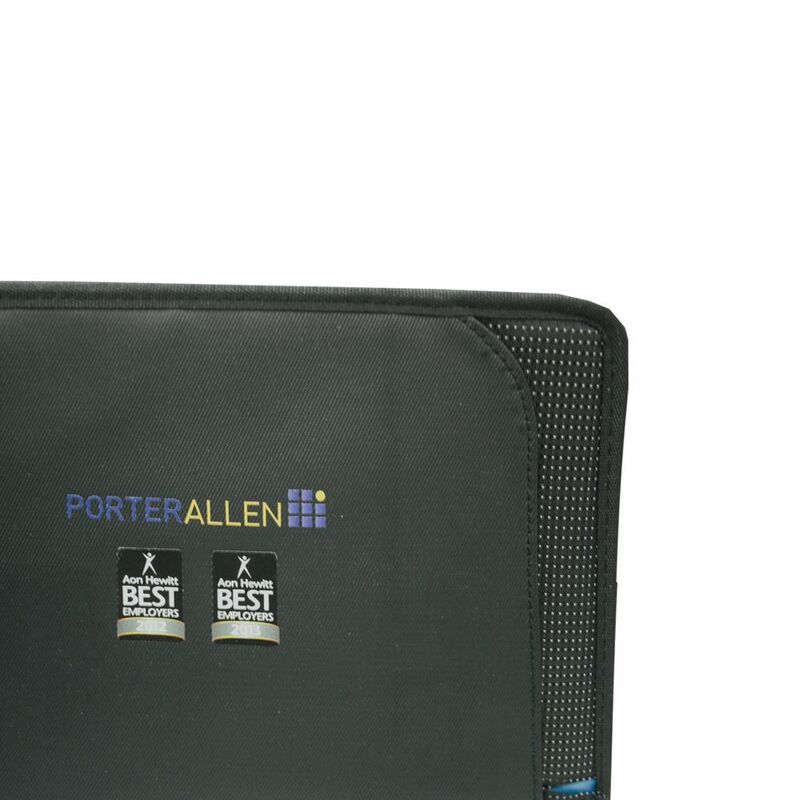 Check out our Tablet Compatibility chart to see which tablets fit in the product. 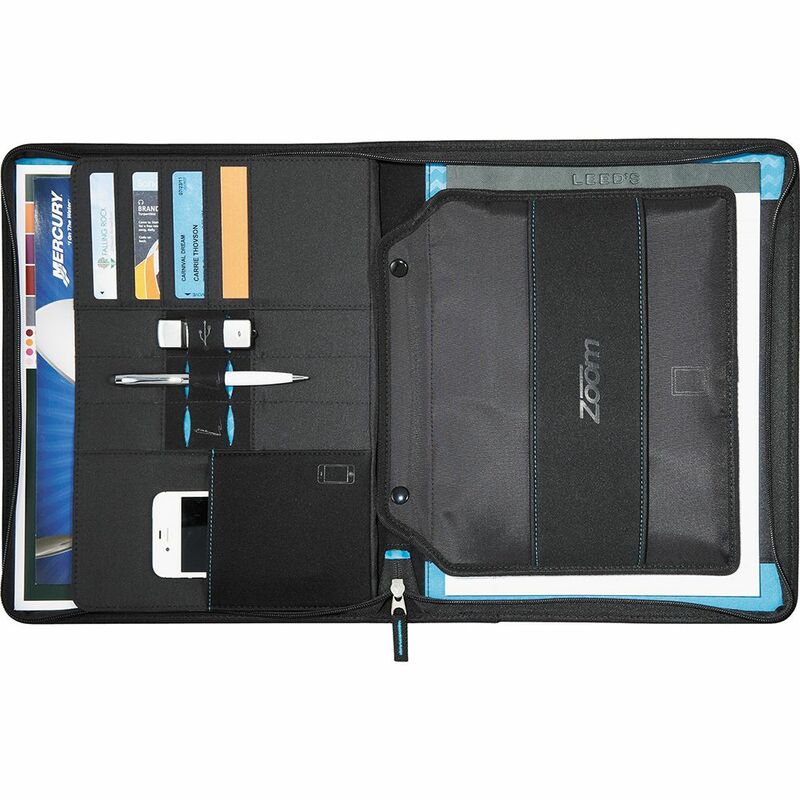 Pens and devices not included.